If you want to feel better about your body, it is imperative you add strength training to your healthy living routine. Increasing your muscle strength has multiple positive influences on your overall health. From feeling better as you age to having a happier disposition, well-toned women reap many rewards when they improve their muscle strength. Consider the following tips if you need further convincing of the power of muscle building. Lifting weights is good for your posture and core strength. No, you don’t need to build bulky arms or become the next Arnold Schwarzenegger; simply working on strength-training exercises that build your abdominal muscles will help improve your posture. Buff bodies tend to sleep better. If you incorporate both cardiovascular and strength-training exercises into your daily routine, your body will need to recuperate to renew its energy stores. Add weight lifting to your workouts, and you just might find yourself sleeping better at night too. Muscle is awesome for burning calories. If you want to lose weight quickly or slim down specific areas of your body, consider adding weight lifting exercises into your workout plan. Leg pushes on a weight machine or arm raises with dumbbells can help you tone your muscles and burn excess calories at the same time. 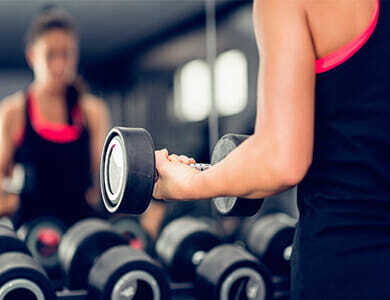 Incorporating weight training into your fitness routine is one of the fastest ways to increase your fitness level and beautify your body at the same time. Strength training can have a significant impact on your overall health. Will you be adding weight lifting to your workout routine this year?